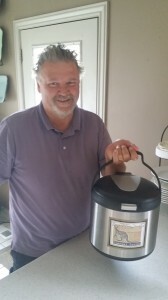 SUMMERTIME means... Our Famous Cooker sometimes is turned into our Famous Cooler. We have often been known to show up to potlucks and picnics with TWO full Saratoga Jacks thermal cookers! One might have BBQ shredded pork, and baked beans cooking...and the other a cold salad, chilled, as a delicious side! 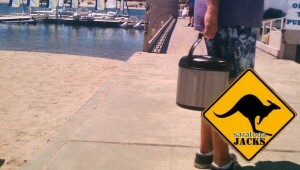 Prepare ahead of time: Place your LARGE THERMAL COOKER POT into the fridge to chill it. Jack chops between 3/4 cup to 1 cup of each vegetable. 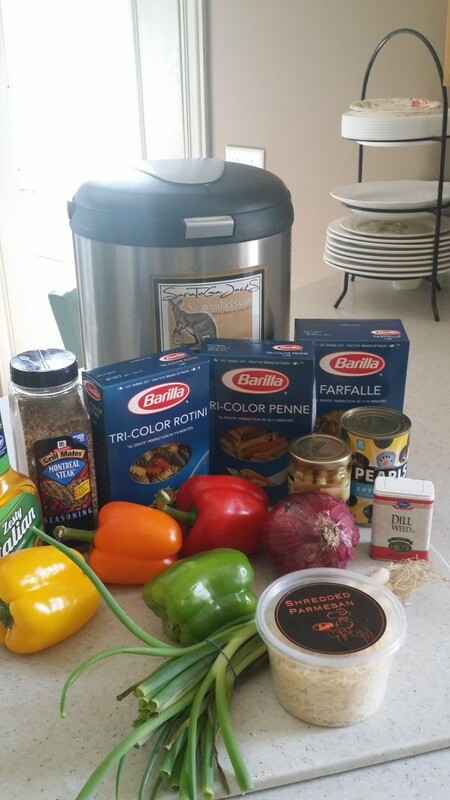 Now Prepare your PASTA; use 16 ounces (1 lb...about one box/pckg) of your favorite pasta! Jack prefers to use a combination of Barilla boxed pastas. He buys three different varieties, all with different colors and shapes, and uses ONLY about 1/3 of each box. His favorite to mix together is the Tri-colored Rotini, Farfalle, and the Tri-colored Penne. 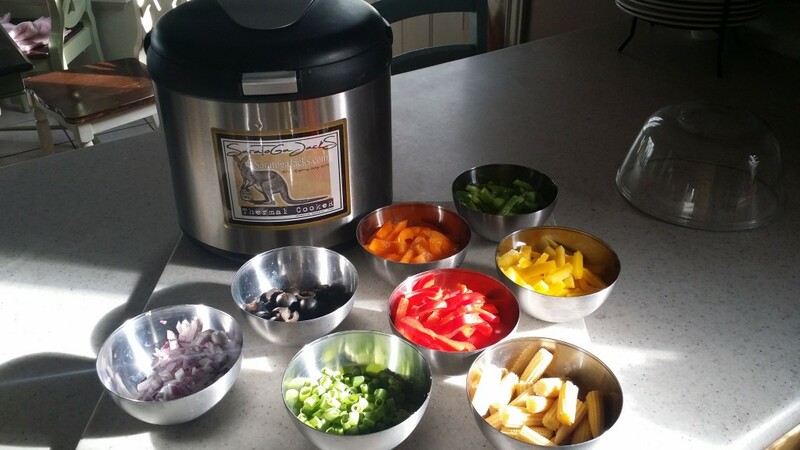 Start a separate pot of 4-6 quarts of boiling water on the stove. Add Salt to taste. Pour in your Pasta to the already HOT boiling water, and boil for 7 minutes, stirring occasionally for a nice "al dente" firm but cooked pasta. Drain immediately, and rinse using a strainer with cold water to cool. Grab your chilled Large Saratoga Jacks Thermal Pot out of your fridge. 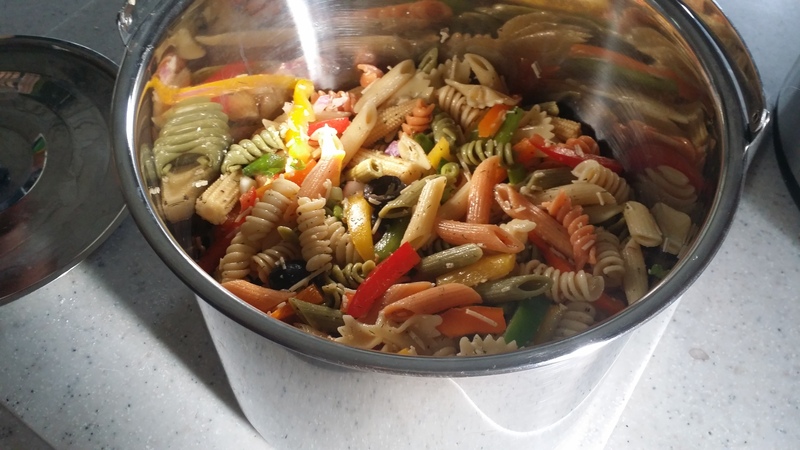 DUMP ALL THE RINSED COOL pasta, and the chopped vegetables into it. 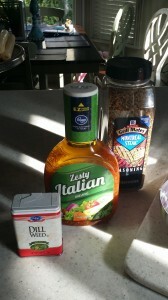 Add the rest: Spices, keep it simple, include a full bottle of your favorite Italian dressing. 1-2 Tbsps of Montreal Steak Seasoning, 1 Tbsp of dill weed, and Do NOT forget a container of Fresh grated Parmesan cheese. 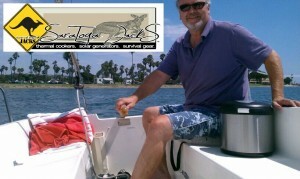 TOSS all together in your chilled Saratoga Jacks Thermal Cooker main cooking pot, and. When he is ready to go to the park, he pops the cold salad that is chilled out of the fridge, fills the upper pot with ice from the Freezer, and layers that on top to keep it cold while we are traveling and eating it at the park. I have made many fresh green salads in the large pot(minus the dressing) and I have put the bottle of dressing laid in with the ice of the upper pot to take with for travel. 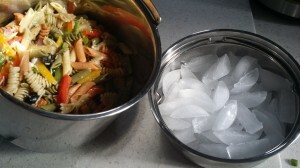 Chilled coleslaw on bottom, and Ice on top, is great. I will buy those huge round ice cream containers and take out the thermal cooker pots and slide that into out thermal unit to keep it colder longer. 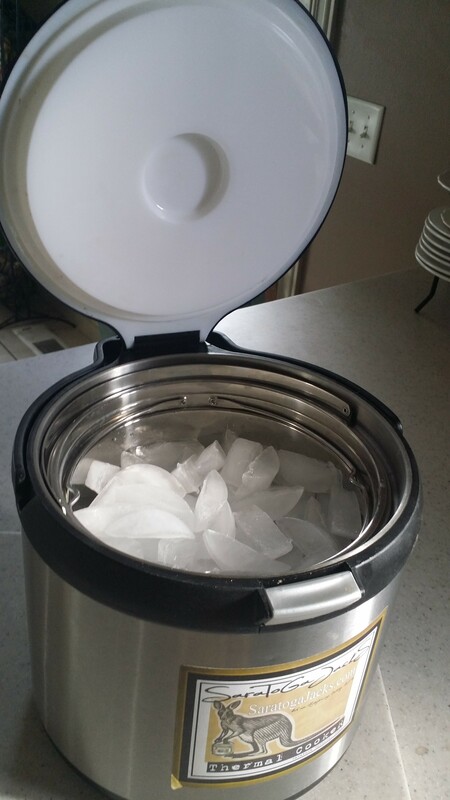 Another popular idea: ALREADY FROZEN Popsicles or ice cream sandwiches packed as full as possible in the bottom pot, ice packed in the upper pot to take down to the lake. I am one popular person when the kids from our marina see me coming. They think on hot days, I always have cold treats to share with them. Everyone Loves our SARATOGA JACKS THERMAL COOKER!